The importance of an accurate financial statement cannot be underestimated in any business setting. 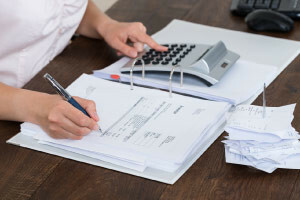 A financial statement provides crucial information for key business decisions, which makes employees with expertise in financial accounting very valuable members of their organization. This course will give you an introduction to financial statements and will teach you how to make reports that are understandable, relevant, and reliable. This course will first introduce you to the fundamentals of accounting principles and recording procedures. You will study double entry, the accounting equation and balance sheets, trial balances, income statements, cash flow statements, and changes in equity statements. You will also look into the Chart of Accounts and its use in an accounting system as well as study how the Income Statement provides information on the profits and losses of the company. Next, you will study the accounting equation and the preparation of the Balance Sheet. You will also learn the key concepts of the Cash Flow Statement and describe its value in providing insights into your company trading performance. The course will also guide you through the preparation of the Statement of Changes in Equity as well as how entries are performed in the four key financial statements. Keeping track of a financial statement balance sheet may seem difficult at first. This free online financial accounting course is designed to make things easy and help you, as a business professional, to gain the competency you need to create and present really useful financial statements. Any aspiring accounting professional will get immense benefit from these skills. So, check out the course today and start boosting your accounting career in just a few short hours! Describe key accounting principles and concepts to apply them in a business context. Explain the Chart of Accounts and its use in an accounting system. Describe how the Income Statement provides information on the profits and losses of the company. Discuss the accounting equation, the preparation of the Balance Sheet and its application to provide information on the financial position of the firm. List the key concepts of the Cash Flow Statement and describe its value in providing insight into the generation of money by the trading activities of your firm. Explain the overall concept in preparation of the Statement of Changes in Equity and its use. Describe how entries are performed in the four key financial statements.